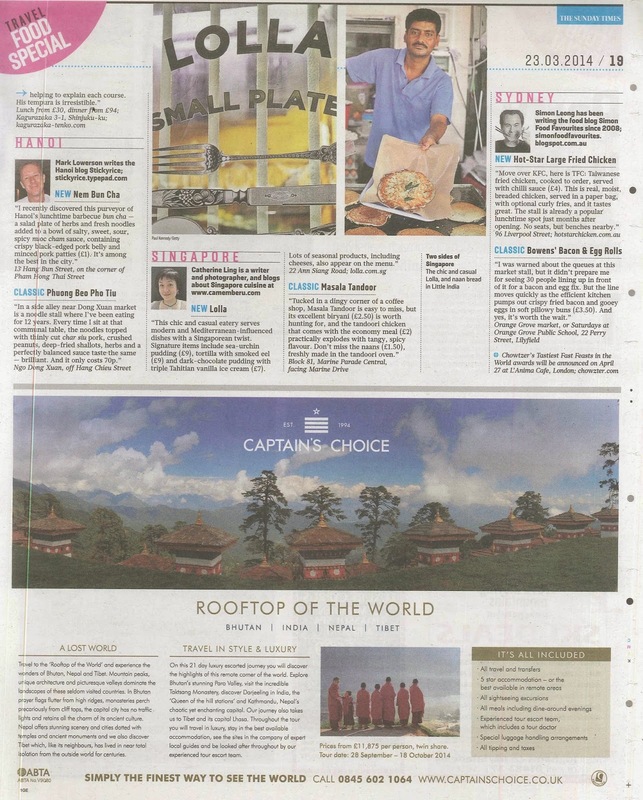 Camemberu is in the UK Sunday Times! 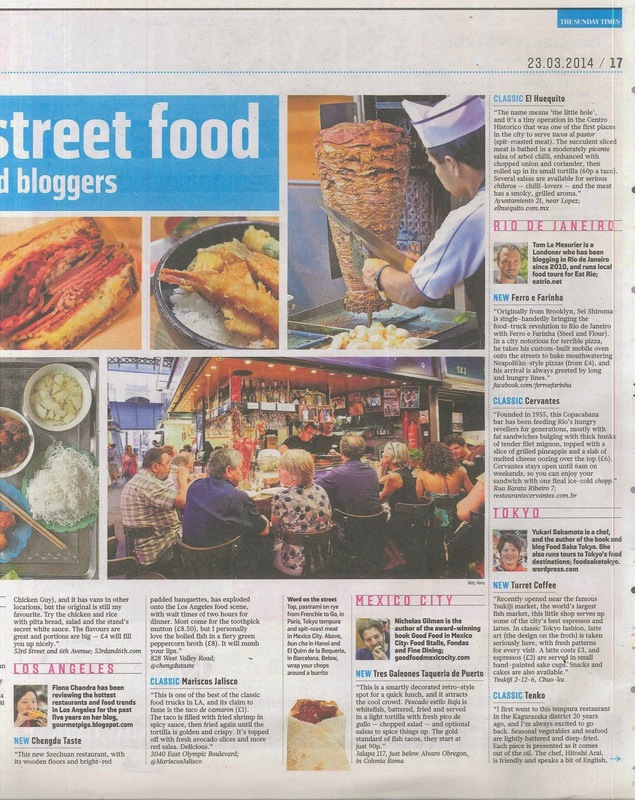 And is Singapore's Chief Chowzter (Chowzter Has Great Global Food Recommendations)! Hey guys! 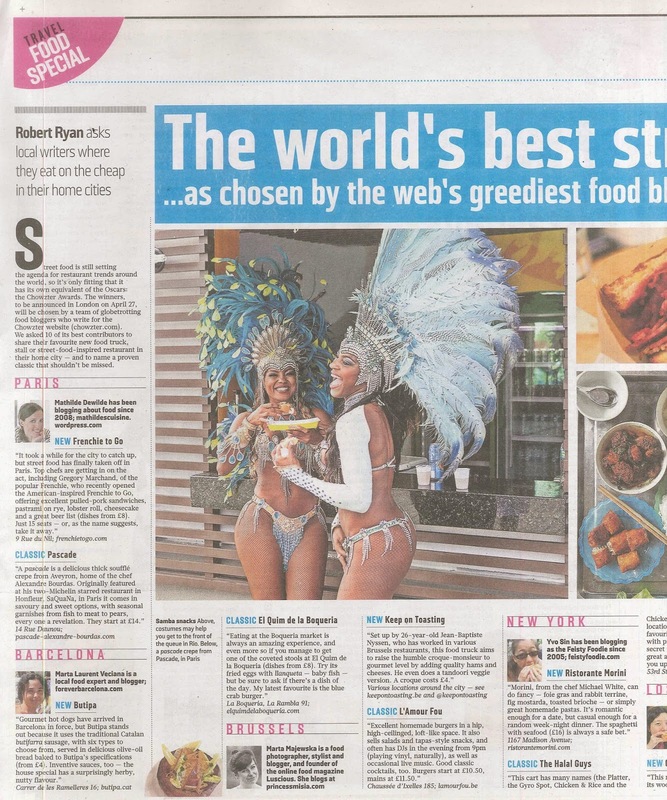 Camemberu made it to the UK's Sunday Times last week (23 March 2014). Here is the scanned copy of the clippings (click to see larger image) - I'm in the third image. The Times interviewed ten food writers worldwide on new eating hotspots and classic reliable eateries. So check out the picks from Paris, Barcelona, Brussels, New York, LA, Rio, Hanoi, Tokyo, Singapore and Sydney. These ten writers are part of Chowzter.com - a site that curates best food recommendations in some 80 destinations by local foodies. 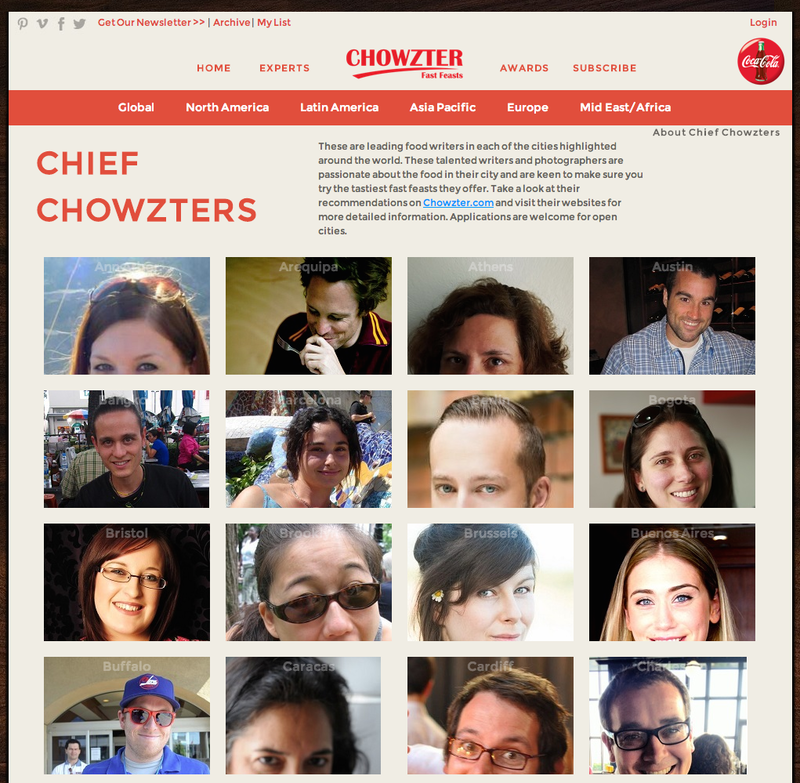 I am very glad they asked me to be the Singapore Chief Chowzter because it's an amazing community. Oh the article has me wanting to make a trip around the world. I'm notoriously bad at keeping track of my own press and TV appearances, but luckily the nice PR folks in London sent me the clipping. There's a lot more on Chowzter to check out. I find it incredibly useful if you're planning a trip overseas and want to see what the locals would be eating. It's an incredible community of food lovers, handpicked for their knowledge and passion for food - come and find out more food blogs around the world to read. Sign up for the weekly Chowzter newsletter for fascinating food stories! For easy access, I've got a big Chowzter button on my sidebar. You can see the Singapore page here. Download their free mobile app on iOS or Android platforms!